How many hunters could tell you the fawn recruitment rate (FRR) on their property? The answer…not many. 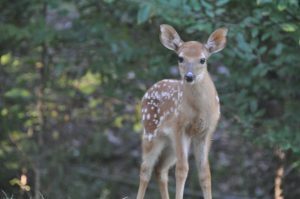 If you don’t know what the Fawn Recruitment Rate is, it is the number of surviving fawns in your deer herd (at least 4 months old) divided by the number of adult does. For example, if you have 20 fawns on your property and you have 12 does, then your fawn recruitment rate is 1.67…simple math. 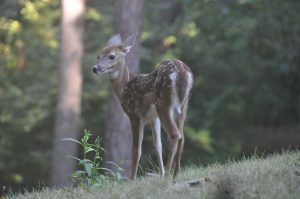 Why should a hunter be interested in the fawn recruitment rate? Knowing your fawn recruitment rate, especially the yearly trends (it is rising, falling, or staying the same), can reveal some vital information about your deer herd. Check out this article from Wide Open Spaces that highlights some of the important information you can glean about your deer herd with some simple information about fawn recruitment. More importantly, remember that HuntLog keeps up with this information for you so you can easily see the FRR on your property, monitor the trends from year to year, and have access to this information in real time, all at your fingertips (on your phone)!